Popcaan has stepped up his Unruly saying by building it into a brand. The dancehall star turn entrepreneur recently signed Dancehall DJ Chi Ching Ching to his record label and just launched his Unruly gear online. Popcaan is also launch his own brand of rolling papers call Unruly Rizla. Popcaan says it’s very important for an artist to into business aside from music and is encouraging other dancehall artists to venture into entrepreneurship. 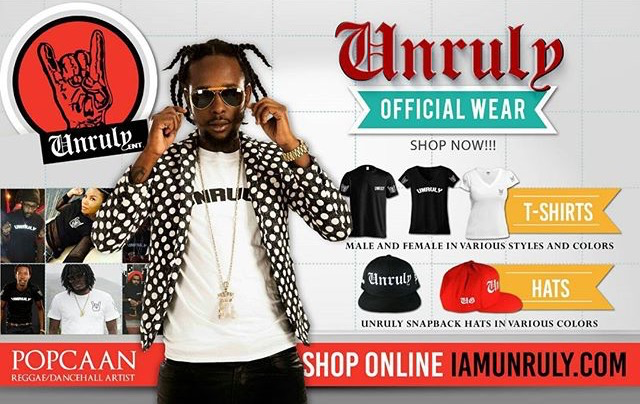 Head over to Popcaan’s site now http://www.iamunruly.com to get his gear.